Duchess of Cambridge Catherine visited Robin Hood Primary School to celebrate 10 years of the Royal Horticultural Society Campaign for School Gardening. Royal Horticultural Society Campaign for School Gardening programme provides children with gardening opportunities to enhance their skills & boost development. 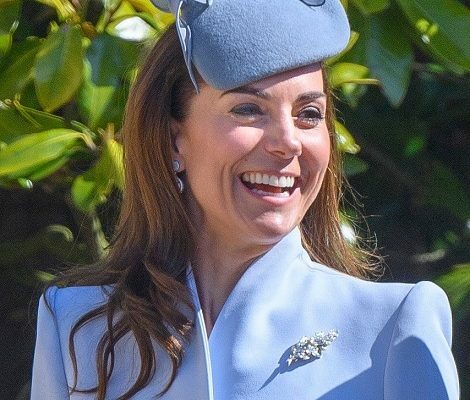 Duchess of Cambridge herself is passionate gardener. On arrival Duchess was welcomed by a group of eager school children with beautiful flowers. Duchess was briefed on the RHS national campaign and the many benefits of gardening to young people by RHS manager Alana Tapsell. 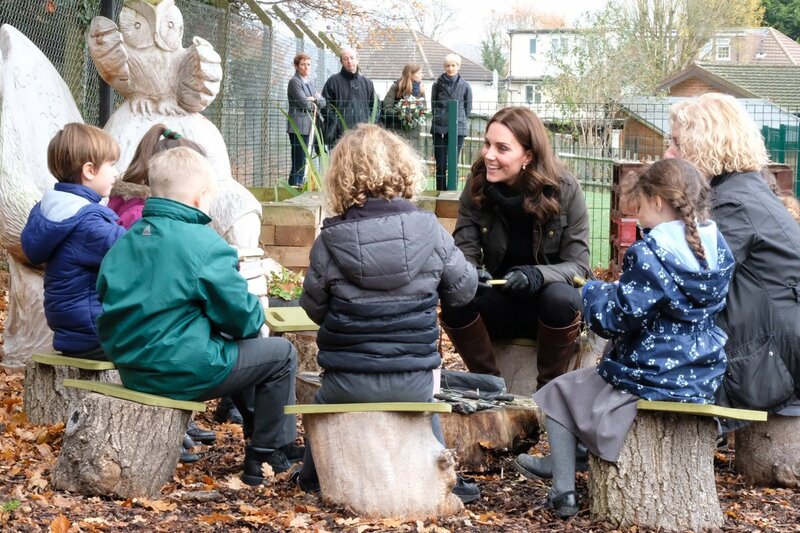 Duchess Kate joined children at the Sensory Garden some bulb planting, that has been supported by RHS and has been shown to benefit children’s physical and mental well-being. After planting daffodil (Narcissus ‘February Gold’) and fritillary (Fritillaria meleagris) bulbs with children Duchess moved to the Outdoor Learning area. Here children are taught how to whittle to make bug homes. These tasks help build life skills such as confidence, teamwork and communication. When the homes are completed they form part of ‘Bug-ingham Palace’. To celebrate the 10th anniversary of the RHS campaign, Kate cut a cake and congratulates all the teachers, volunteers and pupils at Robin Hood on their hard work in the garden. 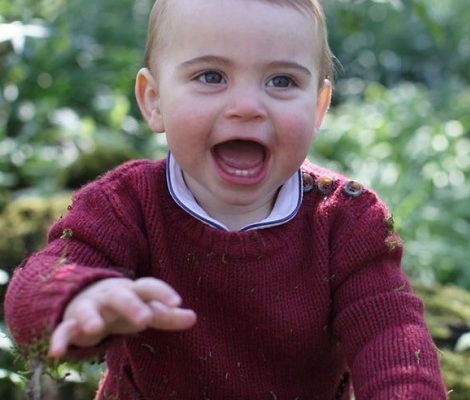 During the outing Kate said “I’ve got such fond memories of being in the garden and being outside from my own childhood and I’m sharing that with my own children George and Charlotte”. Embed from Getty ImagesFor the freezing cold activity, Duchess brought the best of casuals together today. Kate wore trusty Barbour Ladies Waxed Defence Jacket. The jacket is not available any more but the similar styles can be bought on Nordstrom. 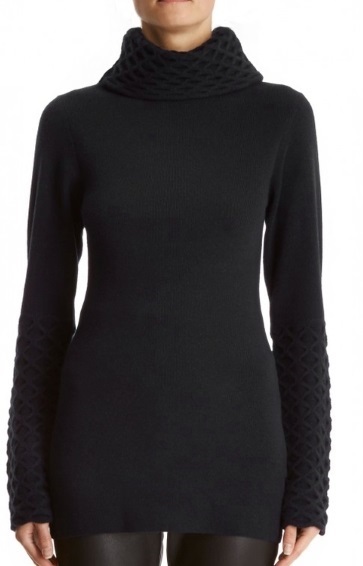 Duchess paired the jacket with her black Temperley London Honeycomb Tunic Sweater and black skinny jeans. Today again we saw the comeback of Penelope Chilvers Long Tassel Boots that remained a loyal part of Duchess’ closet for more than a decade. 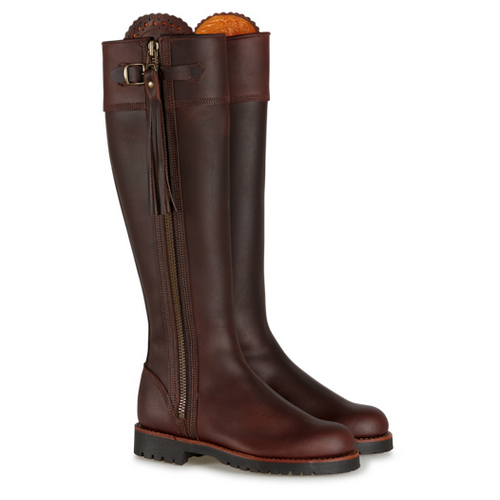 They can be bought on Penelope for £475.00. 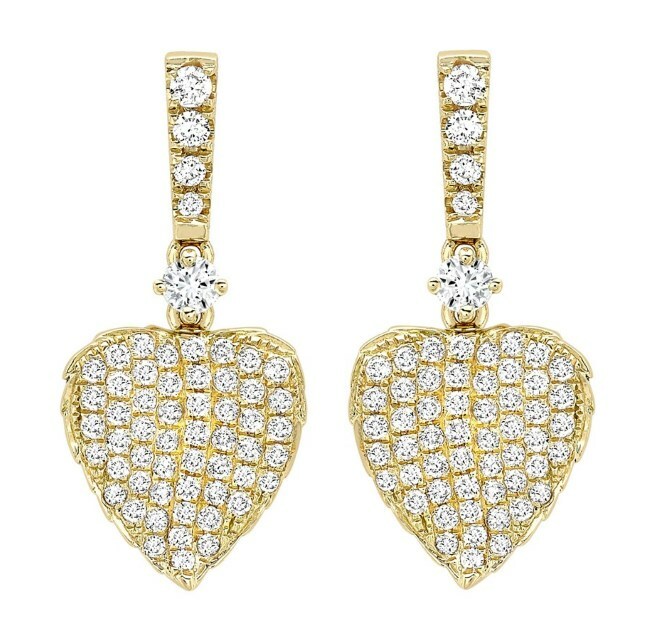 Duchess finished her look with Kiki ‘Lauren’ Yellow Gold Pave Diamond Leaf Earrings.